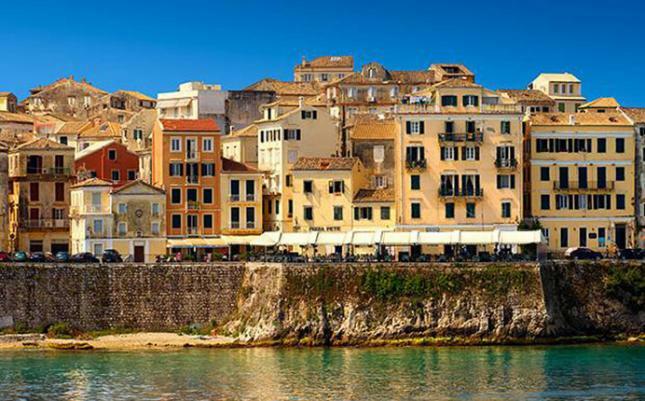 Corfu is the second biggest Ionian island and one of the most exciting one in terms of architecture - very often it is referred to as the Greek Venice, since it has been deeply influenced by our neighbor, Italy. 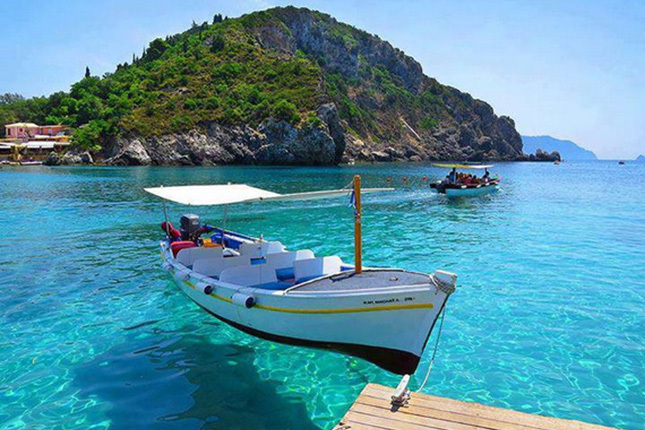 This tour begins at the port of Corfu and brings you to the western, most beautiful, part of the island. Move between the countryside and the historical center by visiting the Achillion Palace and the Kanoni district. Become enchanted by the beauty of the historical center and explore the different periods of architecture reminiscent of the several foreign occupants of the island. 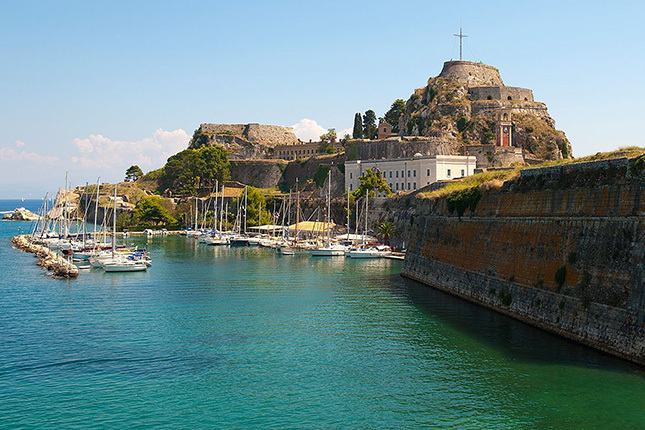 On the way back, gaze at the masterpieces of military architecture, the fortresses of Corfu and understand the etymology of the island's name. 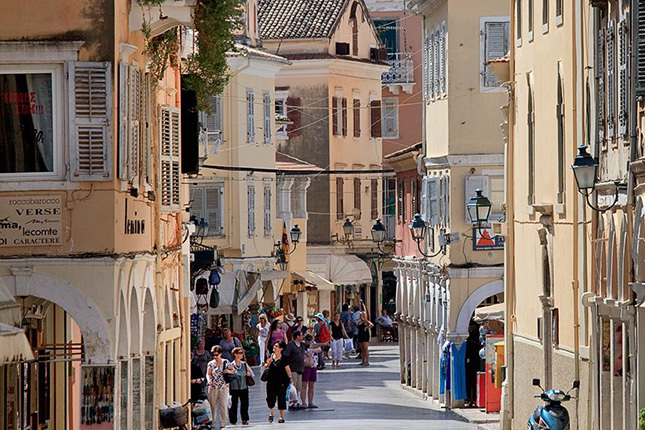 Corfu is the corruption of the Greek word "Korifi", meaning the peak (of the fortress). Visit the Achillion Palace, a palace of the Austrian Queen Sissy who instantly fell in love with the island. 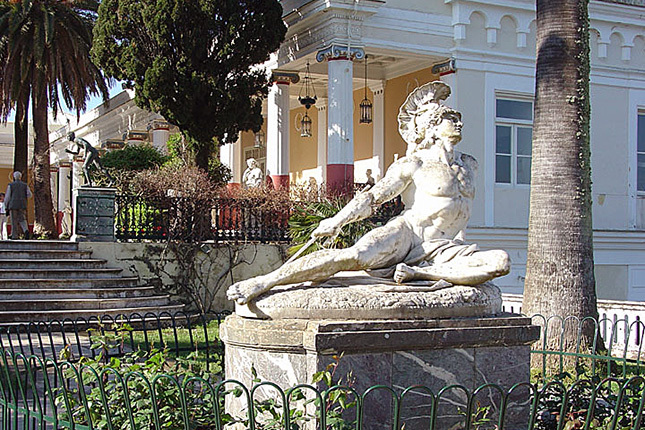 Stroll through the gardens dedicated to her hero Achilles, whose marble statue depicts him trying to escape death by pulling out the arrow from his heel. Continue your walk through the gardens to the terrace with the statues of the nine muses and reflect on which one represents you. The district of Kanoni, the following stop in this tour, is one of the oldest parts of the island. 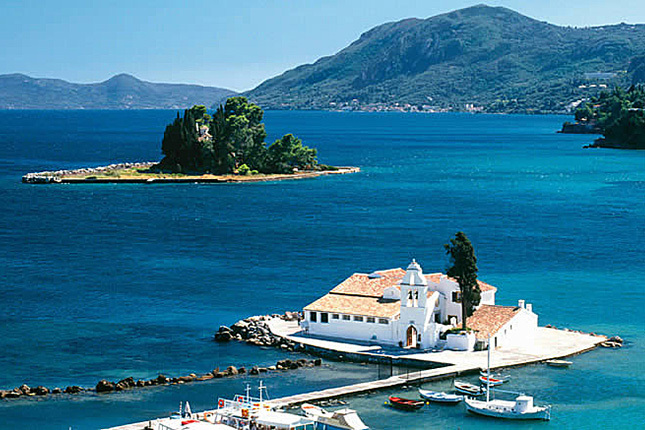 The great view onto the picturesque islet of Pontikonisi will leave you in awe. A short stop for photos and coffee or ginger beer here is a must. 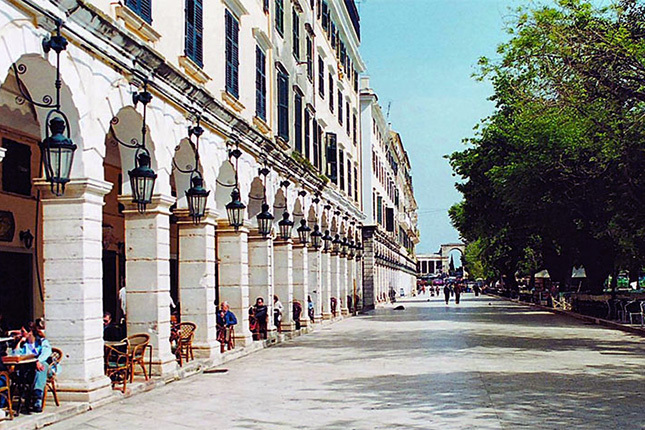 Then at the historical center of Corfu, along with your guide, through the Esplanade, explore the beauty of the medieval buildings, its fortress, a masterpiece of the military architecture, and of course, the church of Saint Spyridon, the Patron Saint of Corfu. It is a great experience to wander through the narrow alleys of the town to do some shopping and taste some of the local products (the kumquat liquor) offered for free from the producers. 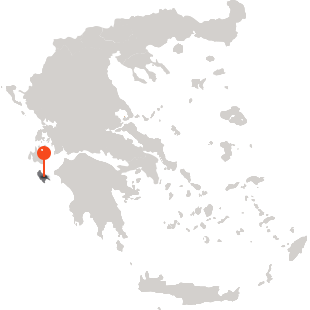 Head for the port and leave Korkira (Kerkira as the Greeks call the island), a beautiful nymph from Greek mythology, behind.